Dale Steyn believes his experience could come in handy for South Africa come the ICC Cricket World Cup 2019. The 35-year-old paceman's sequence of major injuries have kept him away from limited-overs international cricket since October 2016, and he is not a part of South Africa's squad for the ongoing one-day international series against Sri Lanka. However, now that he has made a comeback having played the Tests in Sri Lanka prior to the ODIs, he thinks he can use his experience to add value to what he feels is an inexperienced bowling attack at the World Cup in England and Wales next year. "Our biggest problem in white-ball cricket now is our bowling," Steyn told Reuters. "I don't think it's a massive issue, but I think in terms of experience it's our biggest problem. If you look at our top-six batters, those guys have all played 800-plus games. But if you look at our bowling, our bottom four, they have probably played 150 games. That's a massive difference. There's a heavy weight that weighs up there." While South Africa have Kagiso Rabada and Lungi Ngidi, who have impressed with the white ball lately, they have only played 51 and seven ODIs respectively. This is where Steyn thinks his experience of 116 ODIs and two World Cups – 2011 and 2015 – might be crucial. 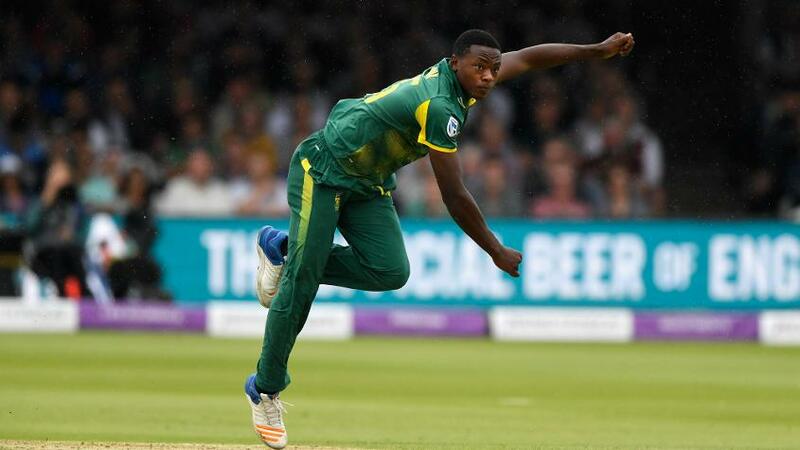 "I will just carry on doing what I do and he [Rabada] can feed off that, he can learn off that and he can just become so much better"
"They are all learning as they play but unfortunately you can't go to a World Cup still learning. You need to know what you are doing. Even at 35 I am still learning but I know what I am doing. These guys need that. I am hoping that's what I can offer in the white-ball scene and obviously play and win games for the country," Steyn said. Calling Rabada 'way better' than himself at the moment, Steyn conceded that while the younger man is a better bowler, the 23-year-old lacks what he has: "He's way better than me. I have obviously got my records and everything but he's way better than I am right now. South Africa will be without captain @faf1307 for the remaining two ODIs and one-off T20I against Sri Lanka after he fell awkwardly and sustained an injury in the 3rd #SLvSA ODI on Sunday. "What he lacks is what I have, and that's what I can share going forward. I will just carry on doing what I do and he can feed off that, he can learn off that and he can just become so much better." Having already announced that he will call time on his international short-format career after the World Cup, Steyn believes he will not be the only one taking leave from the 50-over match after the event concludes. "I think you are going to see a massive exodus. That's my opinion. I am being Nostradamus now and I am calling it," he said. "What's the point really? Another World Cup will be in another four years and that's more than enough time for other bowlers to become amazing players."